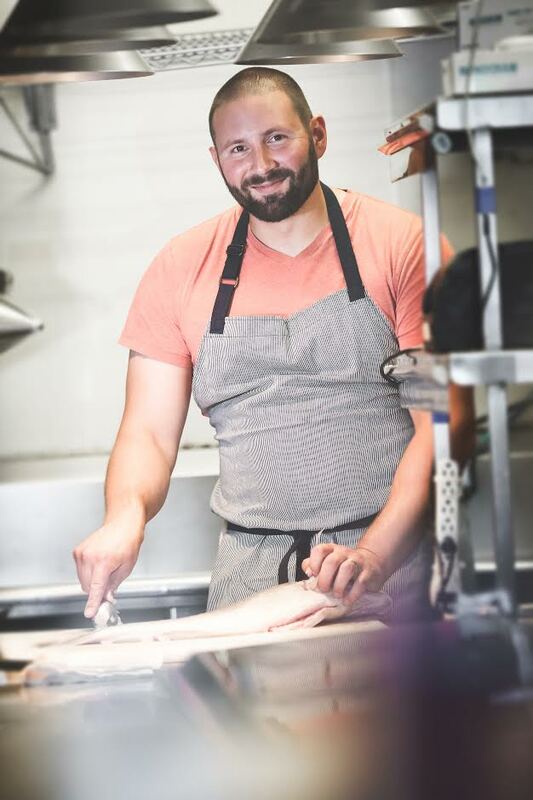 A group of forward-thinking fishermen are appealing to the local food scene by marketing the nearly 50 types of fish across four seasons to their community. North Carolina’s geography enables its waters to support a diverse array of species. The cold-water Labrador Current from the north meets the warm-water Gulf Stream from the south just off of Cape Hatteras, and the differing temperatures cause an upwelling of nutrient-rich water. In addition, the 200-mile-long string of barrier islands off the coast creates a network of protected habitats. Rather than relying on a dominant species, like salmon in Alaska or lobster in Maine, commercial fishermen in North Carolina catch between 30 and 50 types of fish across all four seasons. Despite the variety, North Carolina fishermen—like their counterparts across the country—face a number of pressures. Imports’ effects on the market, state, and federal regulations, the disappearance of the working waterfront, and environmental degradation have caused many commercial fishermen to abandon the trade. Between 2000 and 2014, the number of commercial fishermen in North Carolina declined from 4,200 to 2,600—or about 38 percent. “It’s getting tougher,” Hemilright says. 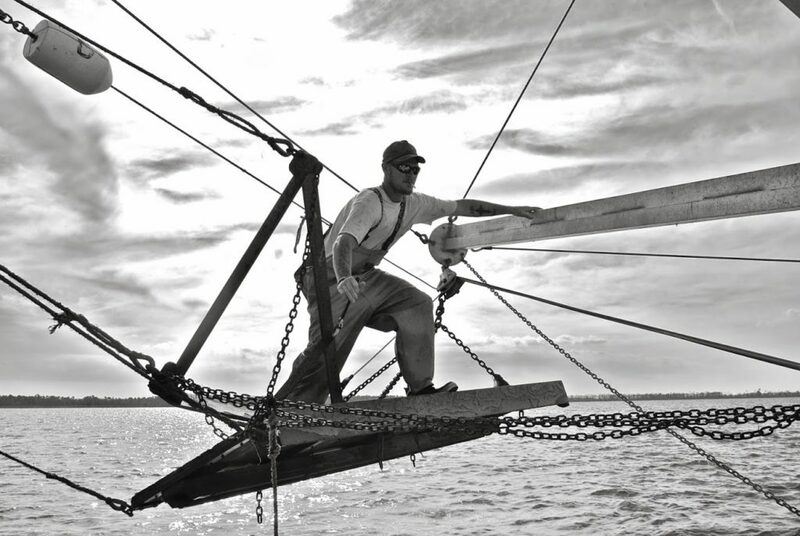 Commercial fishing has a deep and rich history in North Carolina. Cultural anthropologist Barbara Garrity-Blake, a resident of the seaside community of Gloucester, North Carolina has studied the state’s coastal fishing villages for years. “The first thing you hear out of a fisherman’s mouth is, ‘Fishing is in my blood. My dad, my daddy’s daddy, my daddy’s daddy’s daddy’—they go all the way back, say, ‘I am the last of six generations of commercial fishermen,’” says Garrity-Blake, who serves on the advisory board for the North Carolina Sea Grant, a program which provides research, education, and outreach to coastal communities. While fisherman see themselves as “culture bearers,” she says, they also recognize their role in putting food on people’s plates. Secondly, state and federal regulations place size and catch limits on the certain types of fish to protect stocks, like summer flounder, in danger of being depleted. While commercial fishermen acknowledge a certain amount of regulation is necessary to promote the health of the state’s fisheries, many feel the regulations are not based in science, and that they’re getting regulated out of business. Compounding that trouble, the politically powerful recreational fishing sector in North Carolina has tried to exclude commercial fishermen from being allowed to catch certain species, including red rum, the state fish, as well as speckled trout and striped bass, to “nurture the potential” for recreational fishing by eliminating competition. “There isn’t really an ecological argument for [the exclusions] at all,” says Boucquey, who wrote her dissertation on the tension between commercial and recreational fishermen in North Carolina. While commercial fishermen are not always perfect in their methods, Boucquey says, they hold a deep knowledge of the state’s fisheries and economically help balance the more volatile recreational fishing sector. “It’s just not reasonable to restrict a resource for one demographic or the other,” she says. Wanchese fisherman Hemilright also points out that unlike recreational fishermen, those in the commercial sector provide the general public the opportunity to eat local food. “We’re giving access of this resource to all North Carolinians, not just the wealthy few,” he says. Commercial fishermen also have to deal with the fact that as North Carolina beaches have become an increasingly popular destination for vacationers, and high-end vacation homes and marinas for private boats have proliferated, causing the working waterfront to shrink dramatically. Between 2001 and 2011, 47 fish houses—wholesale facilities that process and package fishermen’s catches—closed for good, shrinking the total number by 36 percent, according to the Sea Grant’s last inventory. Environmental contamination also presents a problem as well: Pesticides, herbicides, and manure-contaminated water run off the farmland and into the rivers in Eastern North Carolina and ultimately end up in the state’s estuaries, contaminating the water and leading to closures of oyster, scallop, and clam fisheries. On weekend mornings in 2010, long-time friends Lin Peterson and Ryan Speckman would drive from Raleigh to the coast to pick up a couple Igloo coolers of fresh-caught shrimp. Armed with a peddler’s permit, they’d bring the seafood three hours back to the Triangle, where they’d sell it on the side of the road from the back of Speckman’s pickup. Six years later, the company still drives to and from the coast to bring back fish—but now, it goes three to four times a week. 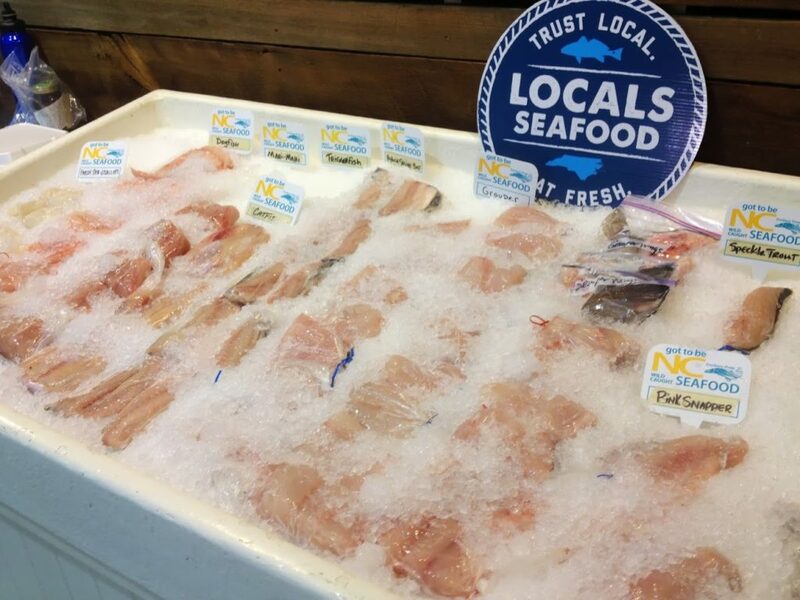 Their business, Locals Seafood, has opened a processing facility in Raleigh, and they sell local fish and shellfish at several Triangle farmers’ markets, through a Community Supported Fishery, or CSF, and at a number of inland grocery stores. Additionally, they sell wholesale to chefs at about 50 restaurants. 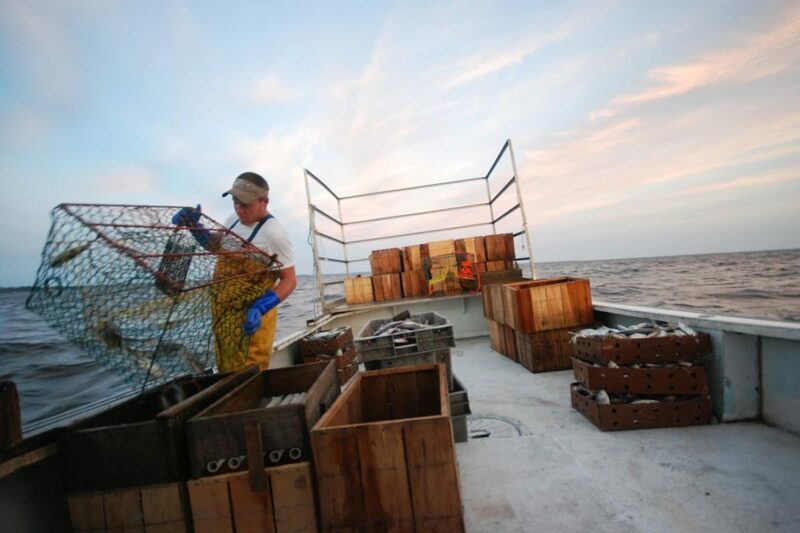 In response to the factors working against commercial fishermen in North Carolina, a number of operations promoting local seafood have emerged in recent years. These operations give independent fisherman a much-needed additional avenue by which to do their business and share their stories. While traditional supply chains ship North Carolina seafood north to New York, Boston, Philadelphia, or Maryland or south to Atlanta to be sold or exported, one main goal of North Carolina’s local seafood advocates is to build new supply chains that stretch west across the state and give North Carolinians access to the coastal resource. One of the first groups to start bringing North Carolina’s seafood west was Walking Fish Cooperative—one of the oldest still operating CSFs in the country—founded in 2009 by a group of graduate students at Duke’s Nicholas School of the Environment. A few other direct-to-consumer organizations, like Salty Catch Seafood Company out of Carteret County and Bella Bean Organics out of Durham, offer North Carolina-caught seafood to inland audiences as well. Peterson of Locals Seafood stresses the educational component involved in selling local fish in a state where such a wide variety is available. “A big part of our business is educating people about why we don’t have tuna every week,” he says, and introducing less appreciated types of fish so fishermen can diversify their catches. For less familiar products, the Locals website offers recommendations like “If you like salmon, you’ll like amberjack!” plus pictures, recipes, and fishermen’s stories. First six photos courtesy of Locals Seafood. Last photo courtesy of Piedmont Restaurant. 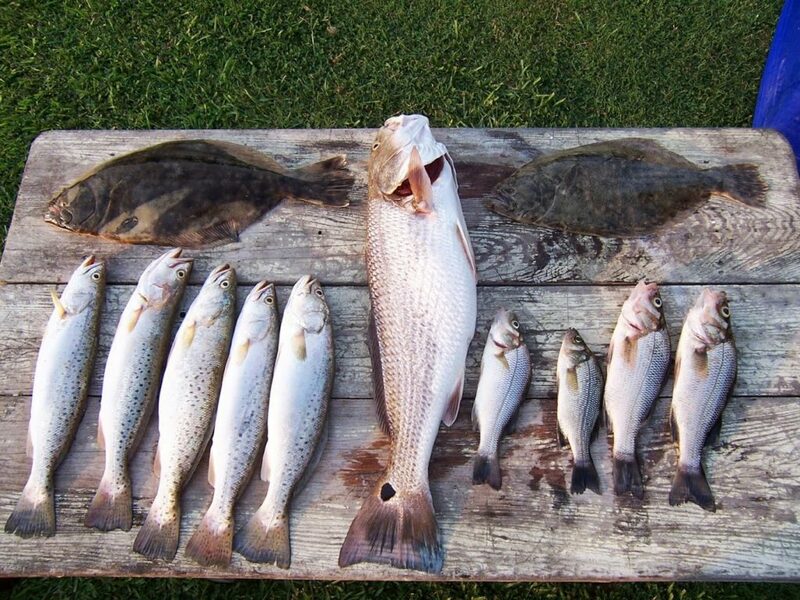 Great story - I've never eaten so much great fish in my life until I moved to OBX. I'd like to know which restaurants only serve local seafood and which import so i could support those with local seafood. I just sold my last two commercial fishing licenses. My sons were the 7th generation of fishermen in my family. The ever changing laws and regulations, limits on seasons and amount of catches, and turtle concerns have done us in. We have surrendered. We now all work hourly jobs on land. I hope the elected officials that have made these decisions that have destroyed our heritage and livelihoods are enjoying their pond grown, sewage fed shrimp from Asia!